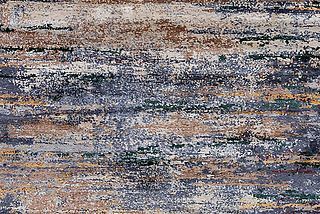 At the end of 2017 we would like to introduce you the Sathi R1226-X378 as our rug of the month December. This brand new model is part of the Sathi Collection and made of pure natural highland wool. The rustic woolen can be described as an "organic rug" - the design consists exclusively of purely natural wool shades. 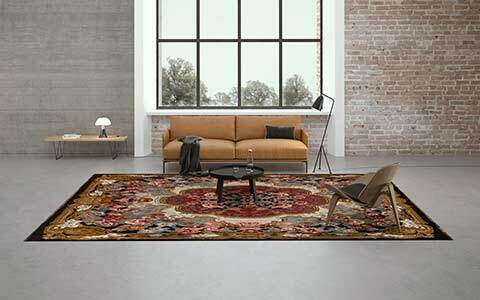 Another highlight of our rug of the month is its special high-low structure, which is created by a special knotting technique. The Sathi R1226-X378 is made of 100 percent pure natural highland wool from the Himalayas. Renowned for its soft, easy-care character, this wool is ideal for high-quality carpets that last a lifetime. 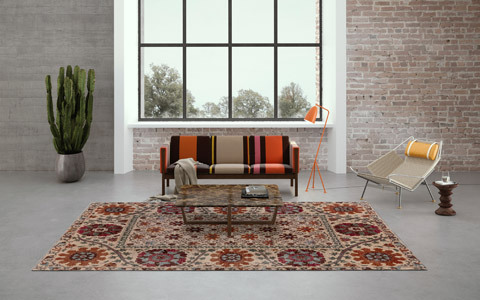 The hand-spun wool is not dyed for this rug, but only sorted by the purely natural basic colours to draw the design of the rug. For the ground pile predominantly bright natural wool in beige and light gray is used, the slightly increased design is mainly composed of wool fibers in dark beige and brown tones. The natural highland wool has a particularly smooth surface and an individual and versatile look. This makes every Sathi rug a unique piece with an iridescent, natural colour composition. 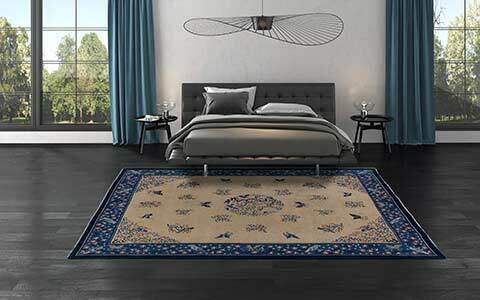 As a long-standing partner of the fair trade label STEP, the environmentally friendly production of its own carpet collections is a matter of course for Mischioff. Equally fair trade, fair wages and a clear ban on child labour. The Sathi R1226-X378 gets its special charm through its modern high-low structure, which is created by a special knotting technique. The base flor lies as a closed loop line slightly lower than the design, which meanders like a labyrinth through the rug. 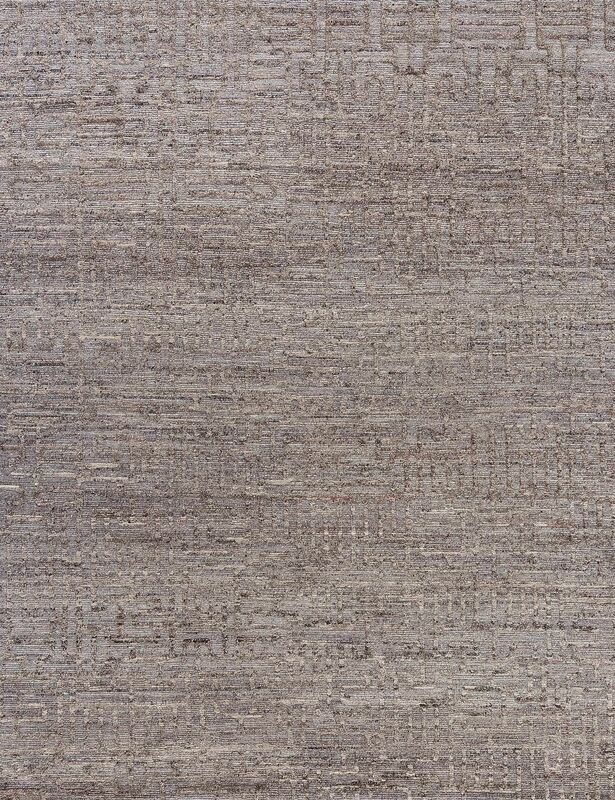 The raised design of our rug of the month provides an exciting structure and feel. With approx. 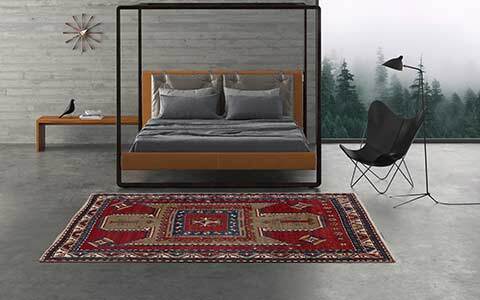 93,000 knots per square meter, the wool rug is made in Nepal by experienced weavers. 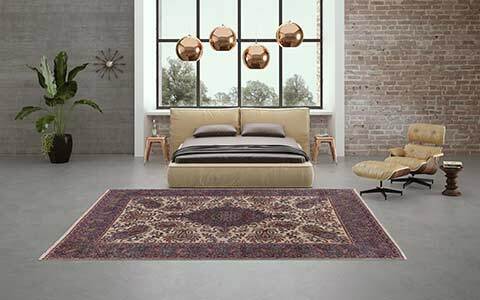 This lower knot density, compared to other collections, is ideal for processing the natural wool and provides a modern, rustic appearance of the rug. Get Our Rug Of The Month For Your Assortment! The Sathi R1226-X378 is currently available on stock in our standard size of approx. 300 x 230 centimeters. In addition, the rug is orderable in individual custom size to adapt it to any room. For orders in custom size, the production takes only two to three months, depending on the size. 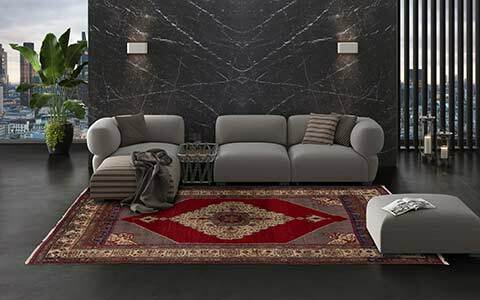 In addition to our rug of the month December, the Sathi Collection offers a large selection of different designs, which always have the natural raw wool as their basis. You run a carpet or furniture store and would like to include our rug of the month in your assortment? Or you want more information about the Sathi Collection or our other design lines? We look forward to your call or inquiry via our contact form! Interested private clients can use our Where-To-Buy search to find a Mischioff distributor in their area to order our rug of the month. For further questions about the rug and our diverse collections, we are also at your disposal.